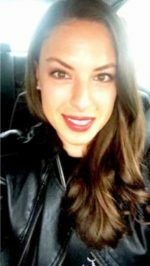 I love two-ingredient recipes! So keep an eye out for them, cause there will be a lot more coming your way. I shared one with you already, remember? 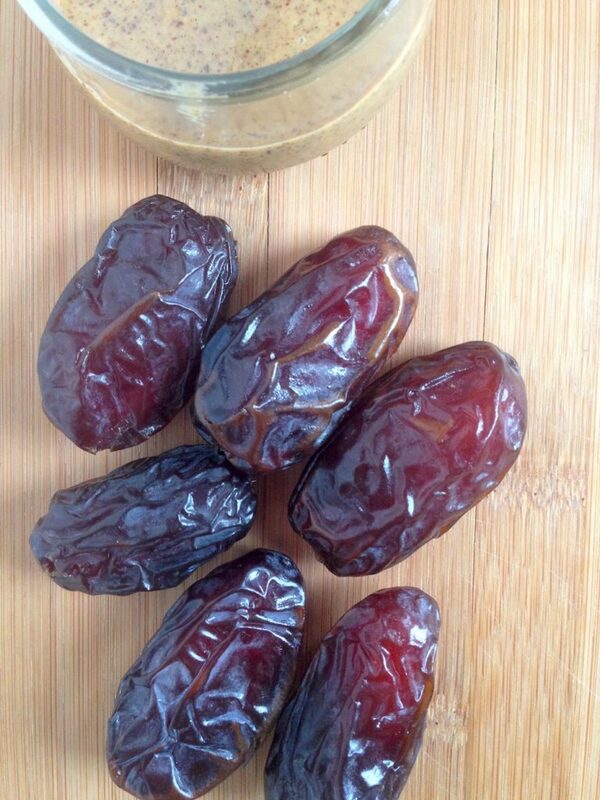 Now here comes one with dates: A fabulous combination and one of my go-to snacks would be dates with almond butter. 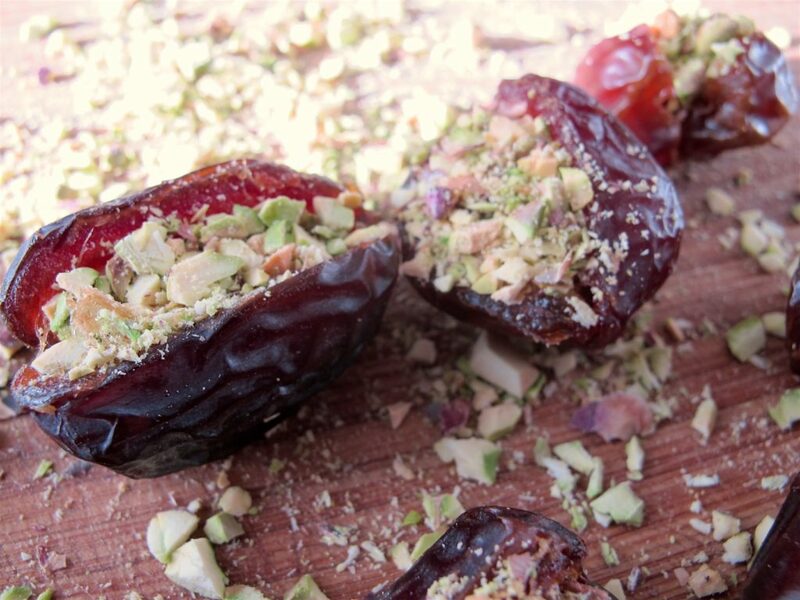 But if I want to be a little more fancy or if I have guests over for dinner, I combine the juiciest Medjool dates I can find with pistachios. You’ve got to look for unsalted pistachios, though. Raw is even better. I first discovered these when I was at a mall in Dubai, which doesn’t seem too surprising since those two ingredients are often used in the middle east. As soon as I entered the store, I was lost in a date-nut-heaven. 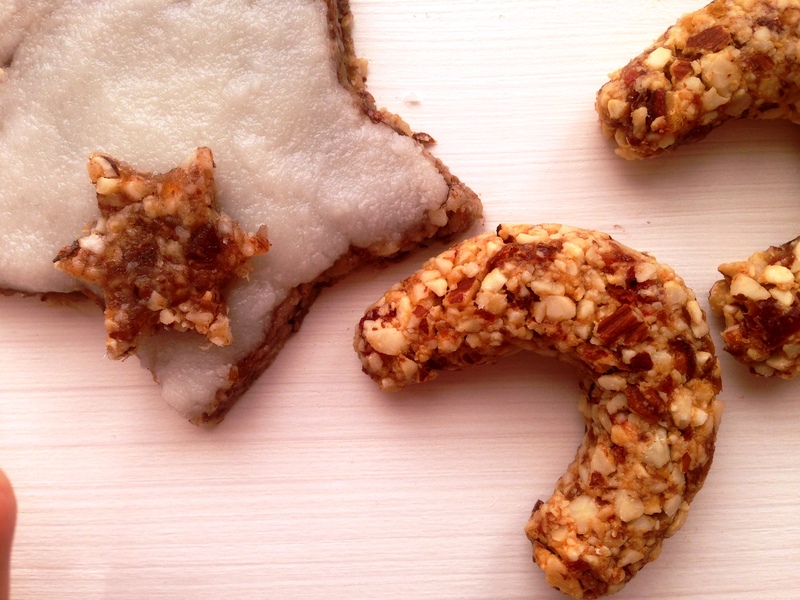 There you can buy them prepared with all kinds of different nuts. 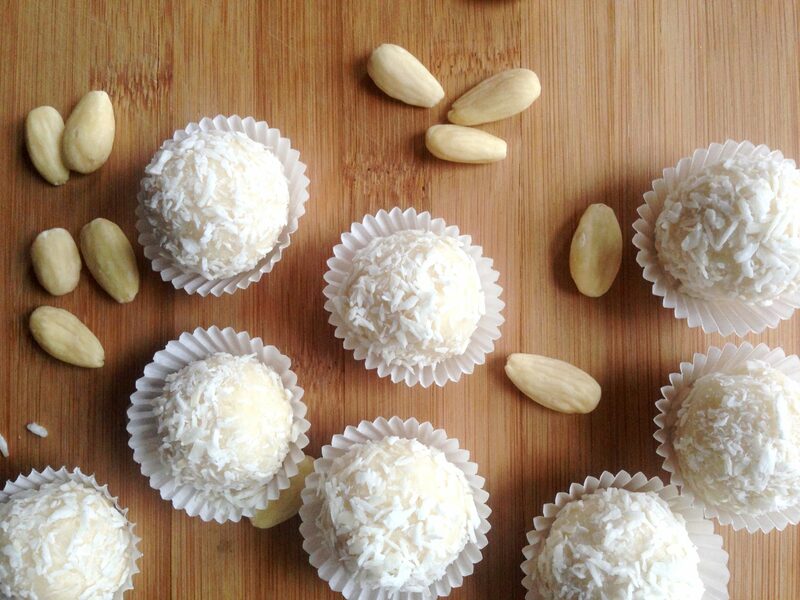 I really liked pistachios the best – obviously I had to recreate these delicious treats at home. 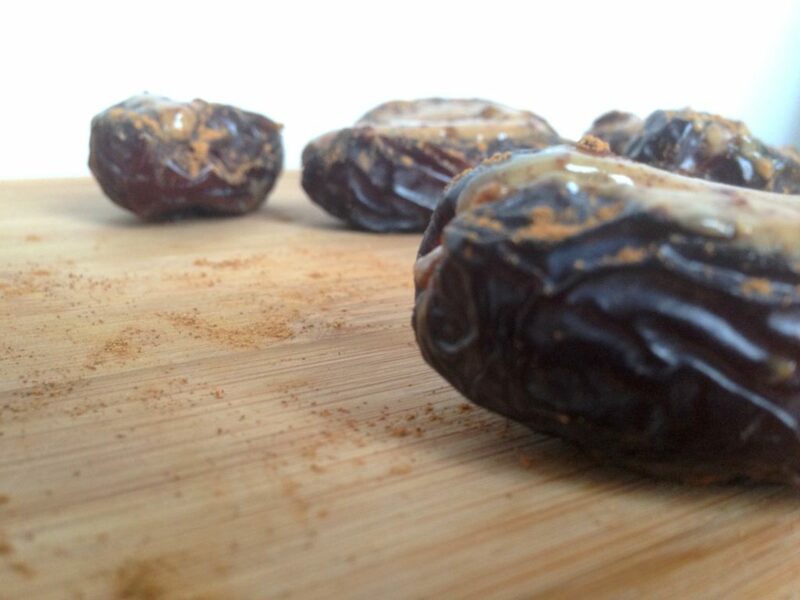 Also: Medjool dates make a huge difference here. I first tasted the queen among dates at a market in Tel Aviv. There they had the sweetest, largest, juiciest Medjool dates I’ve ever tried – so so good! Sometimes it’s really adding by subtracting! Now this just makes a great desert that pretty much everyone will like and the best thing is that it’s so quick and easy to make. 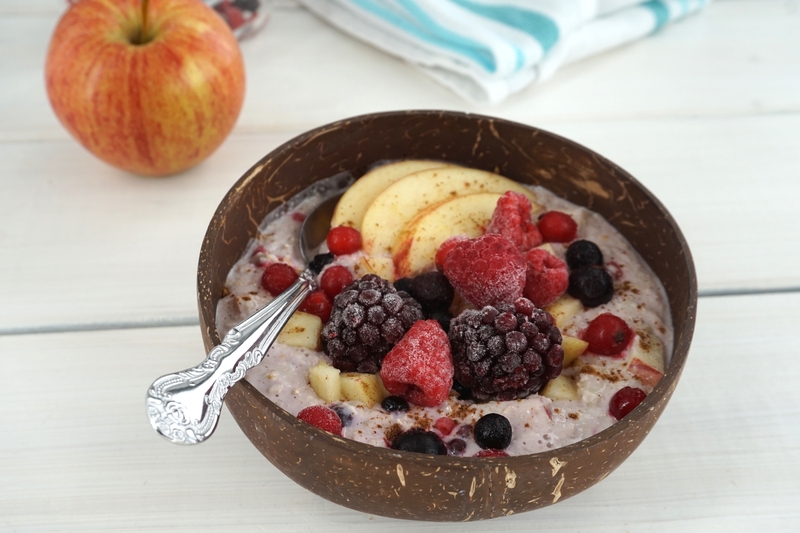 You could make a whole lot ahead and keep them in the fridge for an everyday snack. First pit the dates if they aren’t pitted already. Next grab a teaspoon and fill dates with as much almond butter as you like. The only limit here is the date itself. First chop the pistachios roughly. Then pit the dates if the aren’t pitted already. 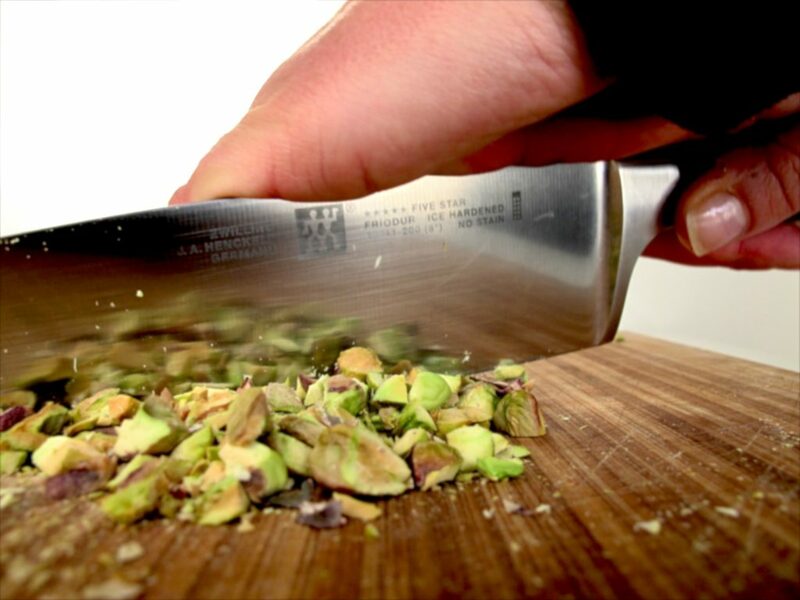 Cut them open a little more on one side and fill with pistachios. Enjoy while imagining yourself in a 1001 Nights setting. Now I’m off to another date – one with a fairy-tale bazar. No, seriously! It’s in Munich, though. Let me know how you like your dates best!